Sweetly floral aromas filled the air as if we were walking through a blossoming orchard. Heather, violets, hibiscus and roses combined in a heavenly amalgamation with ginger, cinnamon and nutmeg. Behind the perfume lurked a juicy core of plums and apricots with apples, sweet pears and runny honey. 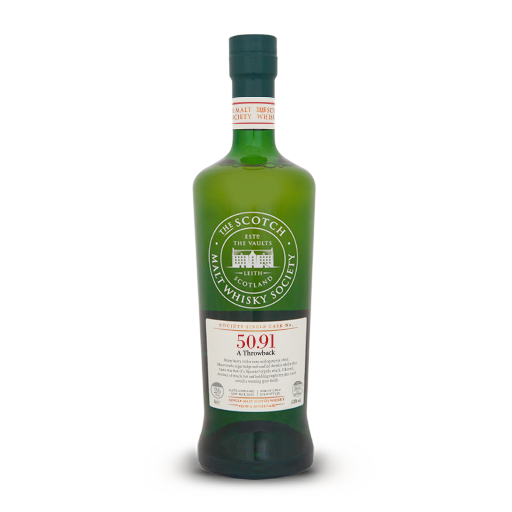 Water revealed aromas of sticky toffee pudding and banana fritters with rum and raisin ice cream, whilst the palate developed notes of soft leather, sandalwood and fresh herbs. The woody character continued into freshly felled trees with the familiar fragrance of natural vanilla. The finish embraced a waxy feel with the lasting freshness of lemon zest on mint ice cream.